“Yarn bombing” has its origins in street art, where fiber is used to adorn public objects in unexpected places, such as posts, street lights and statues. 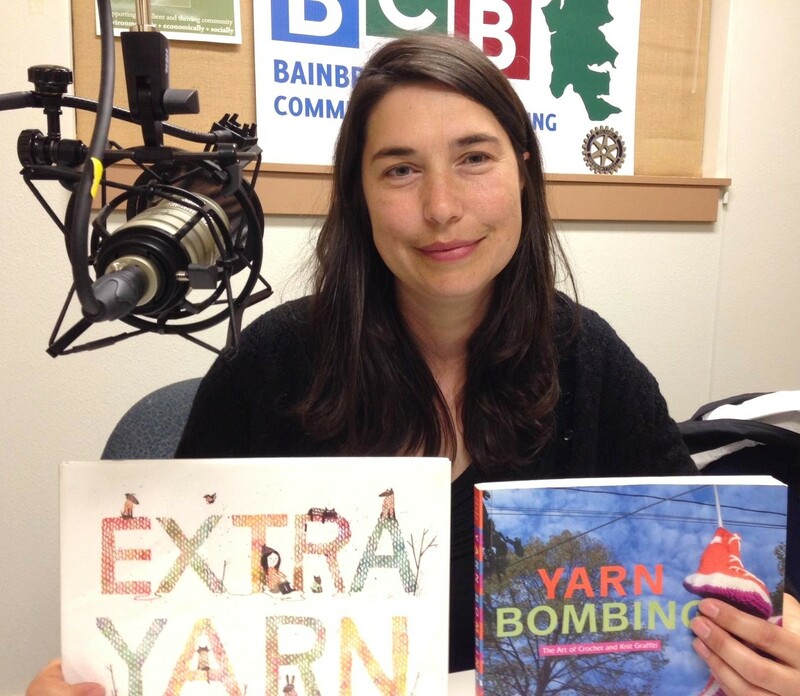 Now, picture this — “yarn bombing” happening inside of Bainbridge Public Library! In this episode, BCB host Annie Osburn interviews Carmine Rau, youth services librarian, about the “Yarn Bomb the Library” event and art opening, coming up on August 1st. The August 1st art opening at the Library, which will coincide with the Bainbridge “First Friday Artwalk” from 5pm to 7pm, will showcase the colorful and creative results from the week-long yarn art event. Meanwhile, from July 28th to August 1st, patrons of all ages are welcome to “yarn bomb” Bainbridge Public Library’s youth services department, each day from 1pm to 3pm. An early example of “yarn bombing” on display at the Library — a yarn-wrapped and pom-pom adorned bookend. The “Yarn Bomb the Library” event is designed to surprise and delight people, create a space for multigenerational mixing and socializing and to encourage creativity and craft. 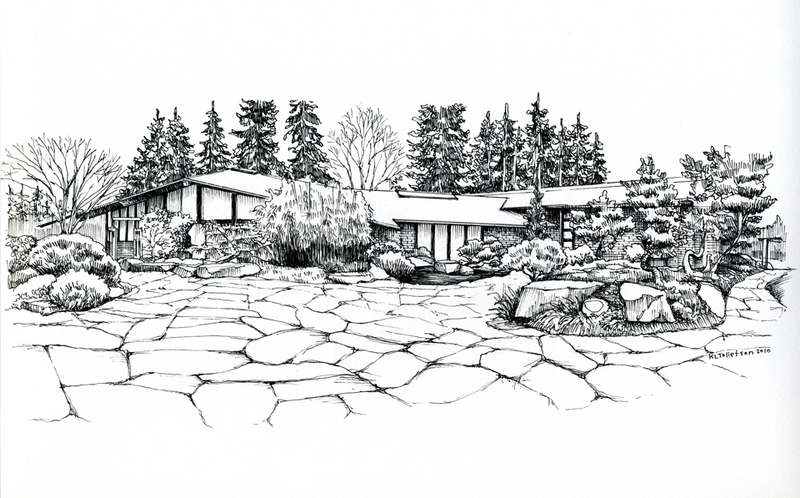 A sketch of the Bainbridge Island Public Library by life-long island resident Kristin Tollefson. Learn more about the “Yarn Bomb the Library” event at the Library website. 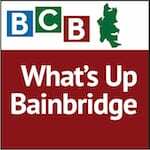 Credits: BCB host Annie Osburn; BCB audio editor and composer of “What’s Up” music splash: Tim Bird; BCB ferry music: Dogfish Bay Studios; podcast art: artopia creative. 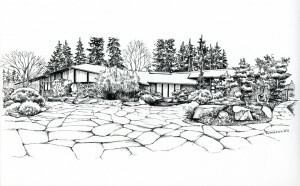 Bainbridge Public Library sketch by Kristin Tollefson.